Elegant and well crafted, the film manages to unfold the challenges, steps, history, dimensions, the beauty and emotions of the mission, as well as the big questions and humans/scientists behind. The film uses an inventive way, how it processes and transports the information. The interdisciplinary approach of it's content is remarkable. Mapping the Future - The Power of Algorithms Germany Jakob Kneser/ P. Dietsche 52 min. The Secret of the Apes Germany Eva Demmler /Axel Friedrich 52 min. Undune Germany Dennis Rätzel 83 min. Joy of Logic UK Catherine Gale 60 min. 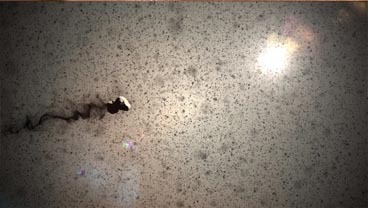 Rosetta comet chaser, a journey to the origins of life France Jean-Christophe Ribot 54 min. Alfred Nobel Germany Kristina Förtsch 7 min. 65+ Being old in rural Japan Austria Pia Kieninger / Isabelle Prochaska-Meyer 35 min. 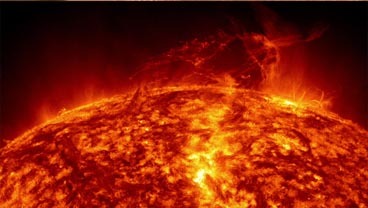 Space weather, an urgent new science France Jean-Louis SAPORITO 52 min. The Discrete Charm of Geometry Russia Ekaterina Eremenko 65 min. Orcas - Vorstoß in die Arktis Austria Ben Wallis, Brian Leith 53 min. is one of Australia’s leading factual television producers, specialising in science. She is a 2012 Emmy Award-winner and record-breaking four-time winner of the prestigious Eureka Award for Science Journalism. Sonya's passion is quality science programming. She has written, directed and produced over 60 hours of broadcast documentary, and executive-produced many award-winning factual series and one-off programs, her most recent the three part global science-history series Uranium: twisting the dragon’s tail for SBS, PBS and ZDF/arte. As a Writer/Director, her films include several major documentaries including the 2013 SBS feature length special on immunisation, Jabbed: Love, Fear and Vaccines, followed by Vaccines-Calling the Shots for PBS NOVA in the USA. The multi award winning film Catching Cancer was an expose of viruses causing cancer, and her film Immortal which featured the work of Nobel Laureate Elizabeth Blackburn, won the 2012 Emmy award for Outstanding Science programming. is the creator of Veritasium, a science-based YouTube channel with over 200 million views and three million subscribers. He hosted the documentary Uranium: Twisting the Dragon's Tail (PBS/SBS/ZDF/arte) and has been featured on Discovery, History Channel, the BBC, and the Australian ABC as a presenter of Catalyst. Muller holds a B.Sc. in Engineering Physics and a PhD in physics. With his graduate degree in physics, science editor Thilo Körkel covers the areas of physics and astronomy at the renowned German popular science journal Spektrum der Wissenschaft. After working as a business consultant for a few years after graduation, he started his true career as the responsible editor for the university journal of Philipps University in Marburg, UniJournal. Among his latest projects are the development of an editorial content portal for science videos, SciViews.de, and a soon to be published e-book on video-based science communication in the internet, Web Video Wissenschaft. Qualified as a librarian/researcher, an intercultural training manager/consultant and a therapist in sophrology, Christine Reisen has an extensive working experience of over 35 years in France and in Germany, with a focus on profiling and fueling developing processes on an individual, collective or project level in a diversity of environments. After 21 years of commissioning, coproducing and programing documentaries with the French-German TV channel ARTE France (most of them dealing with science, nature and history), she decided to leave her position in the network in 2013 to become an independent consultant. Regularely invited member of selection committees, training workshops, pitchings, juries and panels, she is currently acting as a mentor/expert/consultant for international producers and institutions and as a sophrologist. Since april 2013, she has been collaborating as a freelancer with over 20 production compagnies in the UK, Ireland, Italy, Germany, Poland, Australia, China and France and with a number of international documentary organisations. is the director general of the Natural History Museum Vienna, Austria, and full professor of geosciences (planetary geology) at the University of Vienna, where he is the deputy head of the Department of Lithospheric Research. He is a full member of the Austrian Academy of Sciences, where he also heads the Committee on Geosciences. Koeberl studied chemistry, physics, and astronomy at the Technical University of Vienna and the University of Vienna, and obtained his PhD in 1983 at the University of Graz. His publication record includes over 400 peer-reviewed scientific papers; asteroid 15963 is named in his honor "Koeberl". As a tenured scientist and engineer at the Austrian Academy of Science’s Space Research Institute who develops technology for Mars missions, among them the ExoMars project, whose objective is to search for signs of (present or past) life on Mars, Günter Kargl is frequently faced with the challenge to communicate his work to a general audience. Science film is his medium of choice. was born in Moscow to a family of engineers and scientists. When she was a child, she was amazed by the beauty of math. She graduated with Honors from Moscow State University in mathematics, and then started her PhD work. After the death of her mother in a car accident she decided to take a break. She never returned to university. She was asked to work as model, which she did for a while. Then she worked in TV as an anchorwoman and acted in films. Later on, she undertook a second education - film directing. She made four films as the auteur and director with German producers for leading European TV channels: ARTE, BBC, ZDF and others. Now she wants to return to her “first love”- mathematics, but this time to make a film about it. has been a freelance author & director since 1997. He is a filmmaker from Berlin, Germany. Over the last 15 years he has produced and directed many documentaries such as: “The Secret of the Apes” (Arte 2013), “Wildnis in Mitteldeutschland” (MDR 2011) and “Die Affenapotheke – Medizin aus dem Urwald” (ZDF 2015) – each together with Eva Demmler. Furthermore he was one of two developers of Germanys most successful docu soap “Elefant, Tiger & Co.” (MDR/ ARD since 2003) and he still regularly works as a director for this serial. directs films for Arte and the german broadcast stations ARD and ZDF. Her main interests are environmental, ecological and scientific questions which she translates into captivating and touching films such as: "The secret of the apes" (together with Axel Friedrich, Arte 2013), "Wildnis in Mitteldeutschland" (together with Axel Friedrich, MDR 2011) and "Die Affenapotheke – Medizin aus dem Urwald" (together with Axel Friedrich, ZDF 2015). She also works regularly for the most successful german docusoap "Elefant, Tiger & Co" (MDR and ARD 2005-2015). studied physics at the University of Potsdam located close to Berlin. Quickly, he became involved in the vivid film scene of the German capital. After finishing his PhD, he started to work as a filmmaker. He wrote, directed and produced three short films: "Das Weihnachtsgeschenk"(2012), "Light Warriors"(2012) and "Der notleidende Banker"(2013), several viral videos for NGOs and music videos. 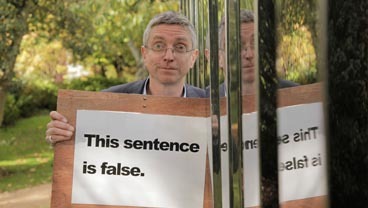 His fictional work is intervowen with satirical elements. Undune is his first feature length documentary. hat an der Universität Wien Japanologie studiert. Sie promovierte zum Thema „Spirituelle Heilung in Okinawa“, ihre Forschungsinteressen sind Kultur und Religion in Okinawa und die Veränderungen des ländlichen Raumes in Japan. Sie hat qualitative Untersuchungen zu Schamaninnen in Okinawa, Revitalisierungsprojekten im ländlichen Japan und zum Alltag von SeniorInnen in überalterten, abwandernden Gemeinden durchgeführt. hat an der Universität für Bodenkultur, Wien (BOKU), Landschaftsplanung und Landschaftspflege studiert und am Institut für Nachhaltige Wirtschaftsentwicklung/Integrative Naturschutzforschung (BOKU) im Fachbereich Ländliche Entwicklung promoviert. Für ihre Dissertation „Ehrenamtliches Engagement in der Kulturlandschaftserhaltung“ verbrachte sie zwei Jahre an der Universität Tokyo. An der BOKU absolvierte sie einen 1½-jährigen Lehrgang für Filmdokumentation. „65+“ ist ihr nunmehr fünfter Film. Pia Kieninger arbeitet beim Leader-Verein Wachau-Dunkelsteinerwald und an der BOKU. As Head of TV at Terra Mater Factual Studios she oversees the television documentary output of the company. Sabine works with co-production partners all over the world, focussing on the production of premium natural history, science and history programs for the national and international market. In addition to her international activities, she acts regularly as an Executive Producer for Terra Mater productions and also runs the Terra Mater TV strand on ServusTV, the German-language free TV channel of the Red Bull Media House which broadcasts world’s very best natural history, science and history programs. She is also responsible for pre-buys and acquisitions for this TV slot. Ivo is Terra Mater Factual Studios’ space cowboy: He is hooked on stars and black holes and, to him, the sky is no limit. As Senior Producer, his focus is the production of high quality documentaries in the fields of natural history, science and history for the international market. He acts as an Executive Producer as well as writing and directing his own ideas. Ivo also works with the Terra Mater-branded TV strand on ServusTV, the German language free TV channel from the Red Bull Media House. Before moving into television production Cat worked in academia, completing a PhD and postdoctoral research in biomedicine, which probably makes her Wingspan’s resident science geek. Archie is Creative Director at Wingspan which he founded in 2008 and Executive Producer of all its productions. Previously he co-ran Takeaway Media, having spent 12 years moving from Production Trainee to Series Producer at the BBC. In 2015 he was elected to serve a two year term on the Council of PACT, the UK’s trade association for independent television. As a director, Archie has won British and international awards and nominations for films as varied as ‘Joanna Lumley in the Land of the Northern Lights’ (NTA Nominated), ‘Motherland-A Genetic Journey’(RTS Winner, Grierson nominated), ‘Alexander Solzhenitsyn – the Homecoming’ (RTS Winner, BAFTA nominated) and the Ian Hislop episode from the format-defining first series of ‘Who Do You Think You Are?’. Programme Director at AFO, Fort Science, Palacký University. Aside from the festival programme management and in the interactive Science Center, he focuses on philosophy and history of science. AFO is currently one of the most important festivals worldwide in the area of popular science films. It aims to present science as an attractive, dynamic and diverse sector through films charting natural, humanities and social science disciplines. Each year, hundreds of documentary films and television programmes enrol in the competition sections of the festival. It is also the second biggest festival in Czech (based on accredited visitors). Programming Director of Contemporary Science Film Festival (CSFF 360 in the past). Contemporary Science Film Festival is a new format - traveling festival that takes place in 5 - 7 cities during the year. The Festival also offers a new format - Days of Science Films in the Universities. A social franchise of the Festival curated by the Festival team and co-organised by the students. In 2015 120 Universities from applied and hosted the Days of Science Films. © 2018 by eurasf. All rights reserved.